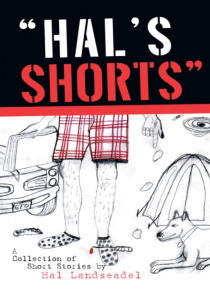 HALS SHORTS is a collection of short stories dictated to Hal Landseadel by the wee people who occupy the otherwise vacant recesses of his cranial cavity. Although the title and cover of HALS SHORTS might suggest a bit of humor, BEWARE; its spooky inside! The reader will travel through time, space, and beyond with several of the books characters as they embark together on journeys to dark, dismal, … and unforgiving destinations.